Blessed with impressive surroundings, Twang Monastery is the largest Buddhist monastery in Asia. It is located at an altitude of 10,000 feet and offers fantastic views of snow-capped Himalayas. 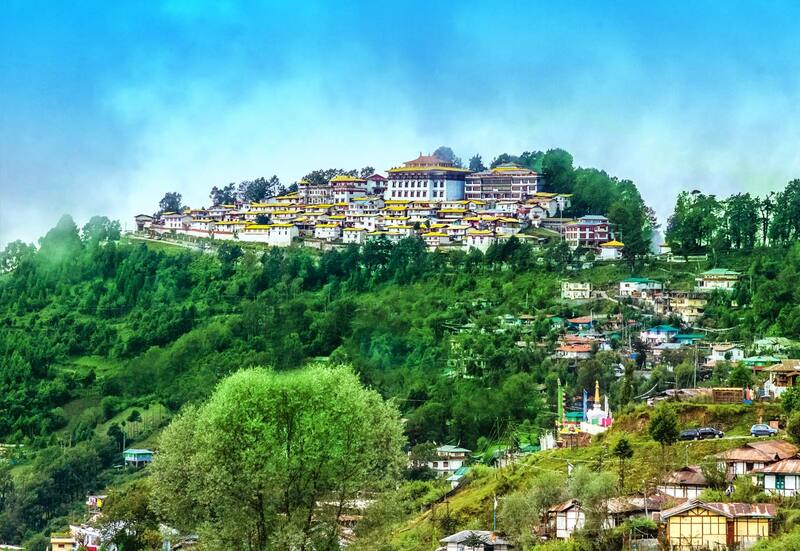 It is located in the Twang district of Arunachal Pradesh. The history of the monastery dates back to the 17th century. It was established by a Bhutanese lama. The monastery attracts tourists from all over India. There is an assembly hall inside the monastery which houses a huge statue of Buddha. The interior of this hall is decorated with murals and thangkas which are conspicuous. The wooden windows of the monastery are colourfully painted and festooned with motifs. The monastery has residential rooms for around 500 monks. Several prayer flags dancing on the rhythm of wind look great. En route to the monastery you will be greeted with wonderful sights of oak and pine trees, rhododendron and bamboo forests and mountains and valleys. To reach the monastery you have to cross the Sela Pass, the second highest motorable pass in the world. It seems as if the surrounding mountains are welcoming the tourists flocking to this place and the green valley is singing songs in the praise of the monastery. The monastery also houses a library which has a rare collection of manuscripts, scriptures, thankas and images. The images and thankas depict Buddha in various forms and postures. The monastery is the perfect place for studying Buddhist cultural studies.